3,000 Layers. That’s the limit for my Illinois limited producer license. 3,000. I’m in no danger of reaching that limit but I think it’s worth discussing. Why 3,000? When you get above 3,000 the magical bureaucratic fairy covers your farm with pixie dust and suddenly you have to treat your eggs for salmonella. I’m sure this legislation is well-intentioned but 3,000 birds? 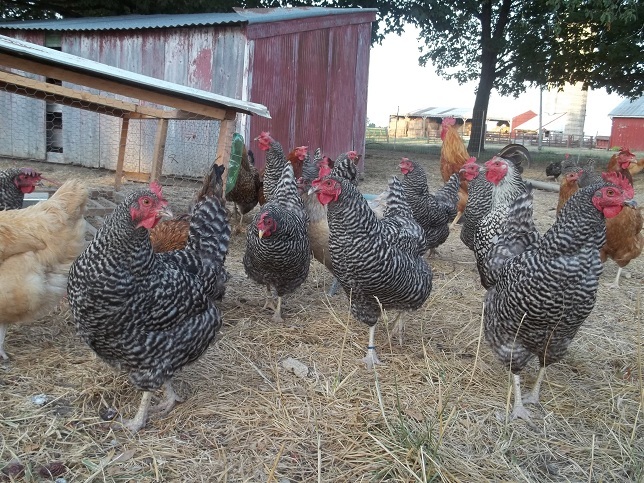 The number of birds isn’t the issue where chicken and egg health are concerned, population density is. A farmer can have all 3,000 birds in batteries in a 2-car garage and, from the state’s perspective, that’s no different than 3,000 birds pastured over 10,000 acres. 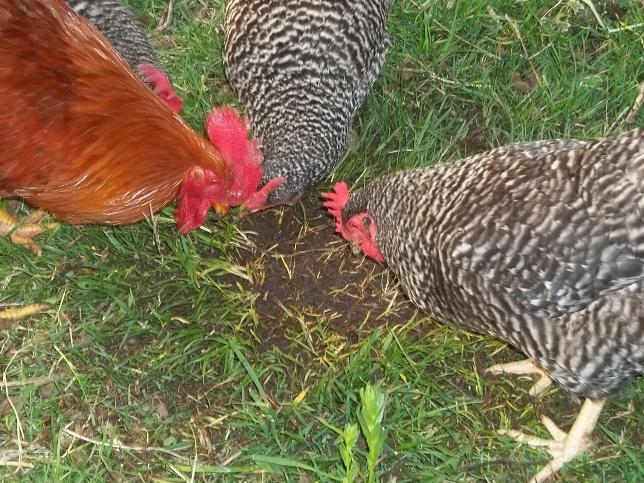 3,000 birds make around 800 pounds of manure each day. 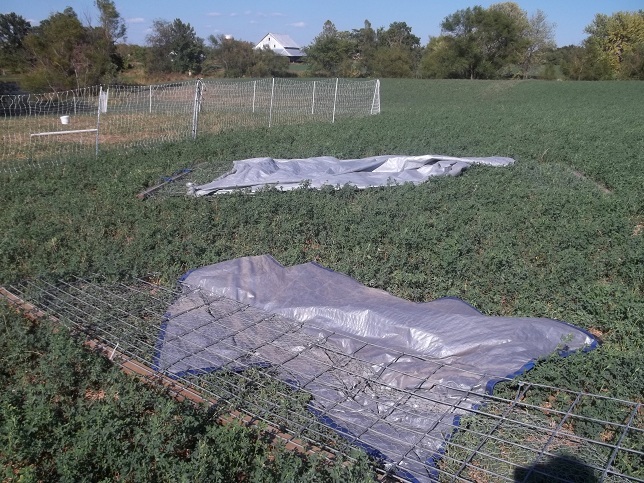 The unlimited egg producer license is supposed to protect the customer from salmonella but it makes no provision for poisoning the soil under an 1/8th acre 3,001 chicken operation. “What about the EPA” you ask? Isn’t that their job? Nope. And honestly, thank God. Remember, the real bad guy in Ghostbusters was from the EPA. The Illinois EPA doesn’t get involved until you have 82,000 laying hens. Seriously? 82,000? Why not an even 100k? Doing the math, it’s not their concern until your chickens produce 22,000 pounds of manure each day. Don’t misunderstand. I’m not asking for EPA involvement. I’m saying the pure number of birds is useless outside of a spacial context. I could easily metabolize the manure from 3,000 chickens on 100 acres. But a backyard producer on 1/8th of an acre could be well within their legal bounds while standing knee-deep in smelly muck poisoned by nitrogen and phosphorus. This is where you come in. Your job, as a consumer, is to be the final inspector. Drive to your farmer’s farm and ask yourself a couple of questions. Does the place stink? If so, why? 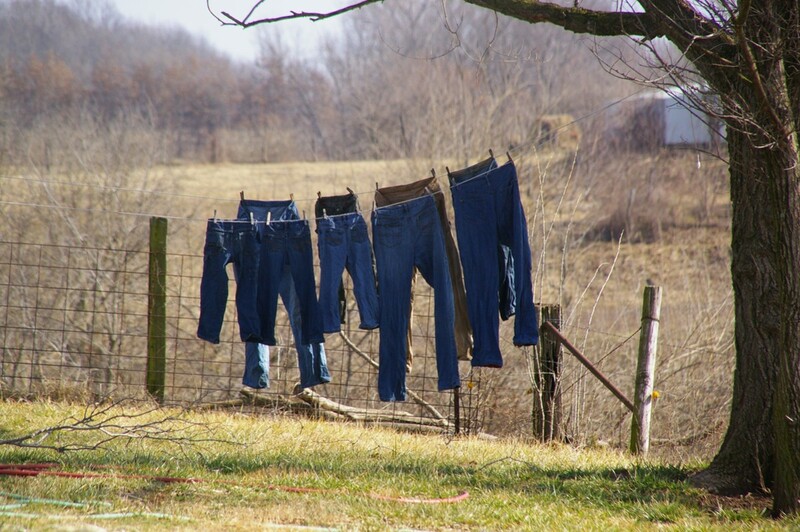 Does it stink because you are downwind of the neighbor’s CAFO or does it stink because your farmer is trying to raise too many animals in too little space himself? 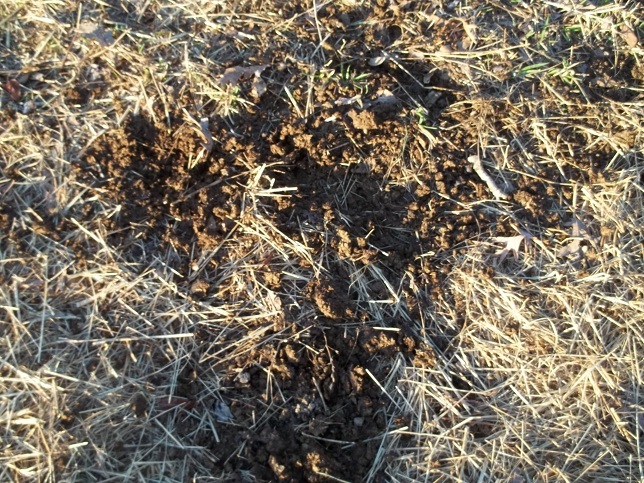 Are the animals poisoning the soil? What do you see? Do the livestock look slick, healthy and bright-eyed but the farm buildings a shambles? Overlook the buildings. The farmer is putting his money into animal well-being and future production rather than pretty places to put stuff he probably doesn’t need. Pretty buildings aren’t a sign of a problem but if he has pretty buildings and sad-looking livestock you might reconsider your purchase. Walk around a bit. How do you feel? Is this a refreshing experience? Do you feel energized and inspired or do you feel tired, guilty or stressed? I think these three questions can go a long way toward vetting out the best farmers. Healthy tomato plants make nutritious tomatoes. Healthy chickens make nutritious eggs. I don’t want to raise 3,000 birds. I don’t want to retail 1,100 dozen eggs each week. I don’t want to feed 700 pounds of feed every day. I don’t want to think about the amount of water I would need or the manure I would have to wheelbarrow around (though the compost would be nice). Under my current model I would need 40 of my simple hoop layer houses to house 3,000 birds. I would spend a lot of time moving those across acre-sized pastures. No thanks. What I want are healthy birds and a healthy relationship with my customers. I want an opportunity to make a positive contribution to my community, to my local ecology and to my bank account. I believe these to be compatable ideas. But this can’t happen without verification by consumers. I really hate to channel Regan here. Trust but verify your farmer. Think back to your most recent trip to a farm. How did it smell? What did you see? How did you feel? The wind blew. The rain fell. One of my chicken tractors tried to go over the rainbow and landed on the fence. That’s really no big deal. We have one of the hog panels off of it so it’s wide open. 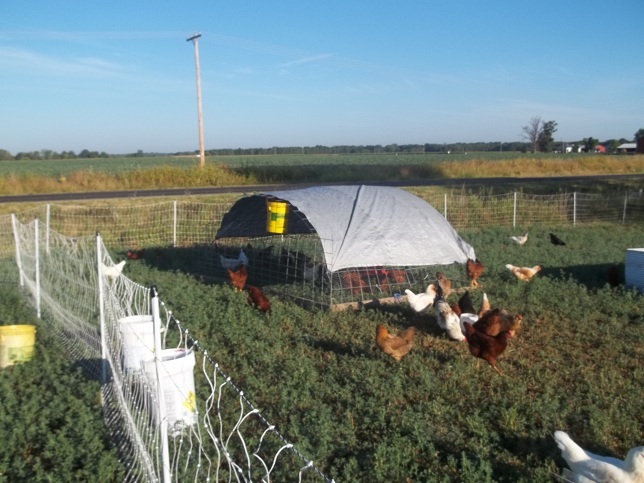 It just gives the pullets a little extra shade and water on hot days. Last night it was empty. Nobody got hurt. The tractor is pretty simple. Four 2x4s screwed together at the corners with a bit of plywood under each corner for a gusset. The panels are held on the frame with fence staples. The tarps are held on with tarp straps. The screws at the corners failed when it tried to land on the wicked witch. I put it all back together in front of the ever-critical chickens while the wife and kids splashed in the pond. I can always count on them for help. This time I left the sail off…I mean the tarp that covers the side. That should help airflow and shouldn’t impact shade since the sun is almost straight up this time of year. Since I touched on the Wizard of Oz a couple of times I’ll finish with this just for giggles. 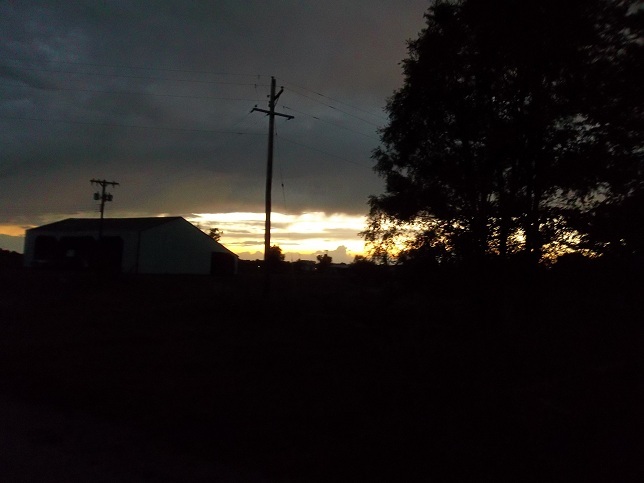 Clouds rolled in at dusk. It rained 1/10th at midnight. My shoes are wet today. Storms rolled through last night. It gave the Earth a shower. What does it cost to produce a dozen eggs? This is important since we’re staring down the barrel of a regional total crop failure. Corn prices are rising and my dad’s tenant indicates that only about 1/3 of the stalks have ears and those ears aren’t filling out. There’s hardly a bean in the soybean fields around me. If this is true on a wider scale, we could be in some trouble. How much will this affect the price of the eggs we produce? Let’s break it down a little bit. Averaged out, I get around 60 dozen eggs each month. 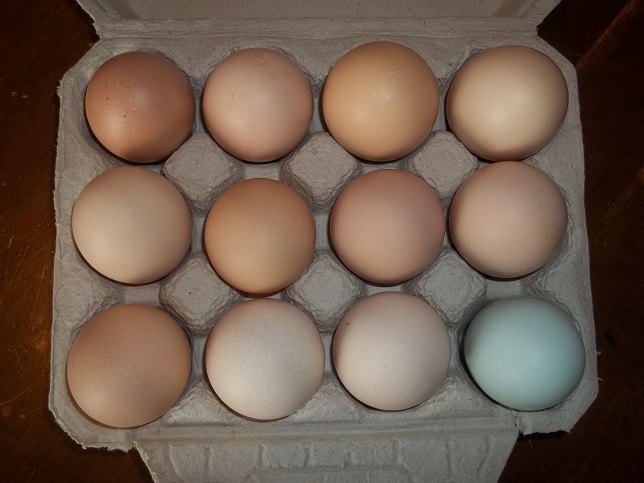 Each dozen needs its own, new egg carton (Illinois law). When I ordered cartons in Feb. they were $0.32, now those same cartons cost me $0.56 each. They have another paper carton that’s $0.36. I don’t like it as much but two dimes saved is two dimes earned. Eggs will taste just as good and the cartons are just as recyclable. My flock of 40 birds eat 200 pounds of feed each month. If corn costs $6.50 (what I paid last year for my dwindling supply of corn), it costs me $12.89 for the ingredients to grind my own bag of feed. That doesn’t count the equipment cost or time involved in grinding that feed. If corn stays at $8.00, each bag will cost $13.57 before grinding. What other costs are involved? Each morning we have to fill the drinkers and feeders and move the houses. Each evening we have to gather the eggs. Every other day we clean, sort, weigh, candle and pack the eggs. Every few days we build fence. What is that time worth? 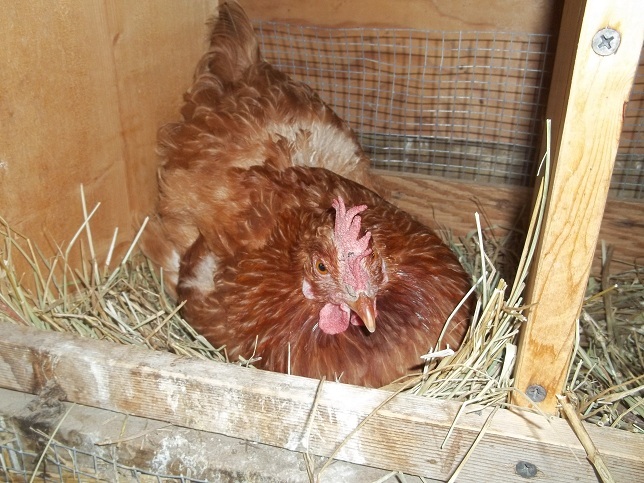 It takes 5 months to go from chick to egg and those first eggs each pullet lays are quite small…too small to sell. So, even though they start laying at 5 months, they are 6 months old before I can begin selling their eggs. That’s 6 months of feed, water and care that I have to pay for with eggs over the next 18-20 months of productive hen life. I have to pay for their housing. 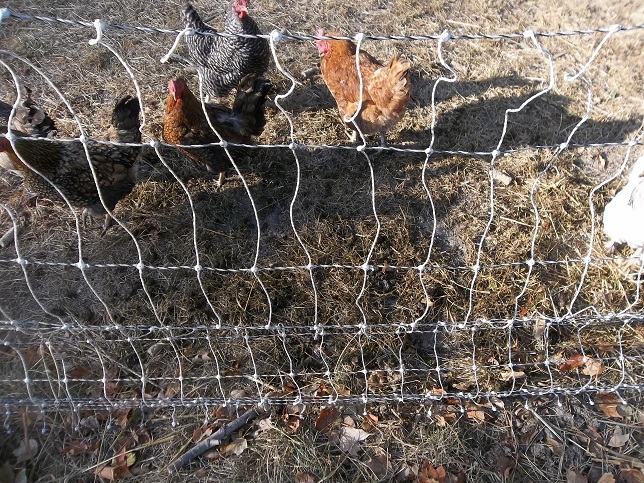 I have to pay for the fencing that surrounds them ($0.04 per length per day). I will lose some birds to predation and weather. How much do I pay myself for sitting in a field all night holding a gun when predators get a taste for chicken? I have to fill out the paperwork for our egg license and meet with our inspector annually. He checks our fridge temperature, validates our scale and egg quality then hands us some promotional items. At least he comes to our house so we don’t have to make a trip to some testing facility in Timbuktu but it still takes time. We have to get a license from the king to sell our own eggs. That license costs $15 each year plus we pay an inspection fee of $0.11 per 30 dozen eggs…to pay for our inspector to drive here once each year and say, “Hi”. That takes away from our profit also. One day, if we work hard enough, we can pay income tax too. Oh, to dream! So what do I charge? It would appear that I could make a little (only a little) money selling eggs but the income is limited by the number of hours in a day. I have to handle every egg. The costs above indicate I am paying $1.28 just for feed and egg cartons plus a few more cents for inspection and licensing (you know, because consumers can’t judge for themseves if cartons are clean or if eggs are any good). 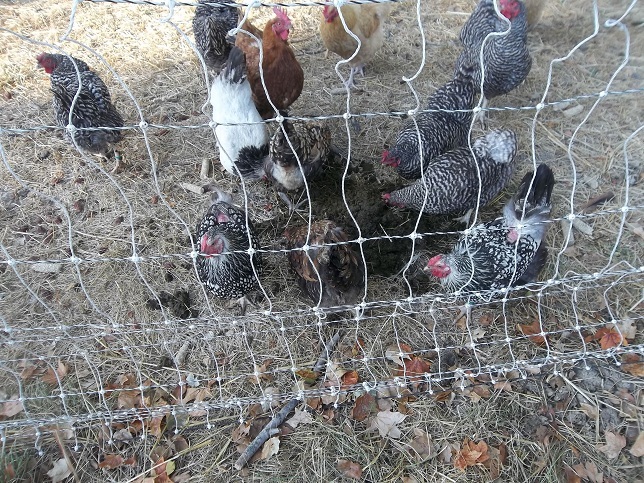 The fencing and housing are spread over 10 years and the chick and brooder time are spread over 2 years then we harvest and sell the bird as a stewing hen. 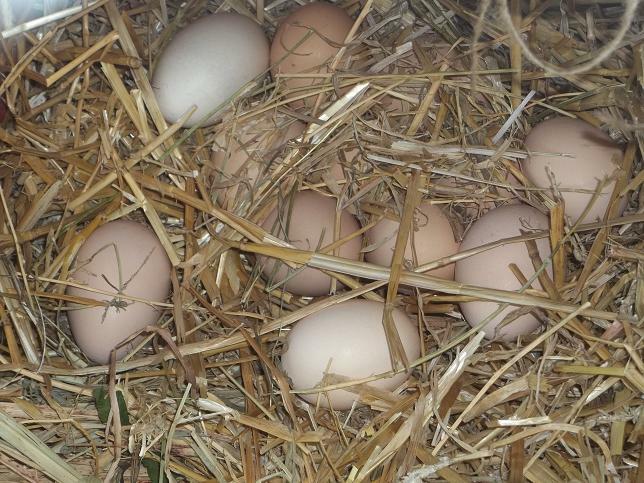 We charge $3.50 for our eggs and get an average of 60 dozen each month. That means we make something like $3 each day from eggs before accounting for our time. Either we need to increase our egg production, raise our prices or close up shop. Salatin says he makes $12 over the life of the hen. I think he’s right. It’s a lousy primary enterprise but they do sanitize the pasture and keep the family entertained. At $8 corn I’m under some pressure to lower my entertainment cost or find feed alternatives but the real pressure comes from labor costs. It takes a lot of time to feed and water the animals then gather, sort and peddle the eggs. Compared to our labor costs, the price of corn is insignificant. My prices have to go up, not because the price of corn went up, but because I’m learning about business the hard way. That’s not to say food costs won’t rise because of the bad crop. They will. 60% of the corn produced in this country is fed to animals. It’s in most dog and cat foods…not just what we feed pigs, chicken and (unfortunately) beef. Corn is in everything…including your gas tank. Soybeans are in everything too. Producers are going to have to determine the marginal utility of each compared to substitutions. I may feed potatoes and milk to pigs…if I continue to raise pigs. But, as a consumer, you need to consider marginal utility as well. Just because corn products cost more doesn’t mean you have to buy them. What substitutions can you bring into your kitchen? I’m afraid there is little substitution for a good egg. I’ll do my best to make appropriate substitutions on my side as well as streamline my labor to encourage you to continue to buy my eggs. I believe you will continue to find my products to be a good value even in the face of rising prices. Dad pointed out a couple of things not factored into my equations above. 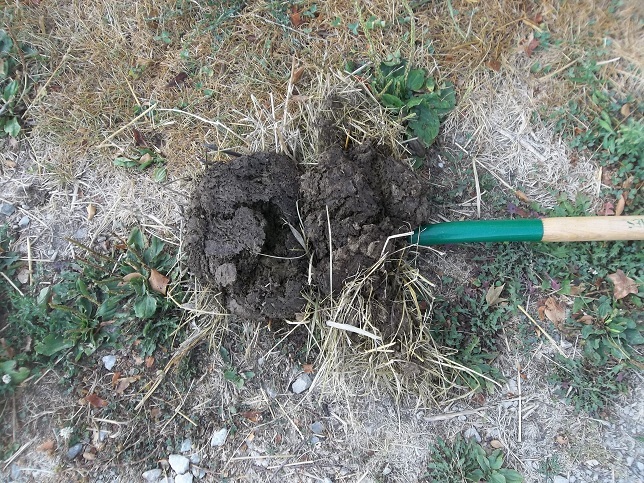 75 layers generate 15-21 pounds of manure each day or a maximum of 115 pounds of nitrogen, 65 pounds of phosphorus and 42 pounds of potassium per acre, not to mention the trace minerals I put in their feed ration. That has value. They also eat bugs. That has value. I don’t mean to say my chickens are a drain on our budget, I’m saying, in terms of farm cash flow, economies of scale work against me trying to generate income from a small flock. There is a rhythm to work. Every job has its own groove. You just have to find it. Processing chickens is no different. You have to find your groove. We moved from square dancing to bebop this year when I upgraded my equipment. At first we tripped all over ourselves trying to make sense of our Featherman equipment. It was pretty bad. Now, it’s no big deal. As a team, we have divided the workload so each of us is working at a good pace. With that in mind, I want to address a portion of an email I got from a friend/reader. I pared down his original question a bit. If I’m not mistaken, the author has about 100 birds to process and has not processed birds before. Rather than go with 220 gallons of chill tank in any format to chill all 100 birds at once, I would like to see him spread his processing out over several relaxing days. I suspect it would take us the better part of 4 hours to sterilize equipment, kill, eviscerate, chill and pack 100 birds then clean up again. At the end of it we would be tired. When we first started we got tired after 20 birds. Our friends at Porter Pond Farm needed 7 hours just to kill and process 130 birds their first try. Keep in mind, they had help and that 7 hours did not include bagging the birds. So the best thing you can do is just process a few birds at a time. Maybe 2 days of 20 birds and one day of 60 birds or 4 days of 10 and one of 50. Give yourself some time to find the groove. Just how does Salatin get the crop out so quickly? It takes time to learn how to do it. Watch this video over and over. And over. We figure you need 10 pounds of ice per 6-10 birds. We chill the birds until they are cold. You’ll know when the ice stops melting. 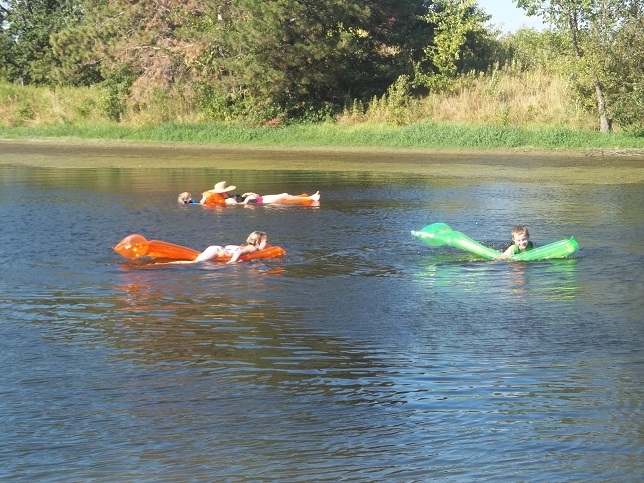 We normally let them rest in the ice water while we compost and clean up. Then we change clothes and start bagging. Maybe 90 minutes. You can save a few bucks by using frozen bottles of water and blocks of ice have more thermal mass but less surface area. I suspect there are better places to deploy cash than to buy stock tanks to chill birds. They aren’t a bad idea as they can always be deployed for livestock use but I really doubt you’ll do 100 birds your first day. If you do, I doubt you’ll be anxious to go back for seconds. There is a lot of skill involved. Until you can work efficiently and as a team you’re probably better off doing 20 birds at a time. 20 birds can be chilled in coolers you probably already own. You need a Compost Pile. With 100 birds to process you need to get four pallets. Wire them together top and bottom with baling wire so they stand in a square. 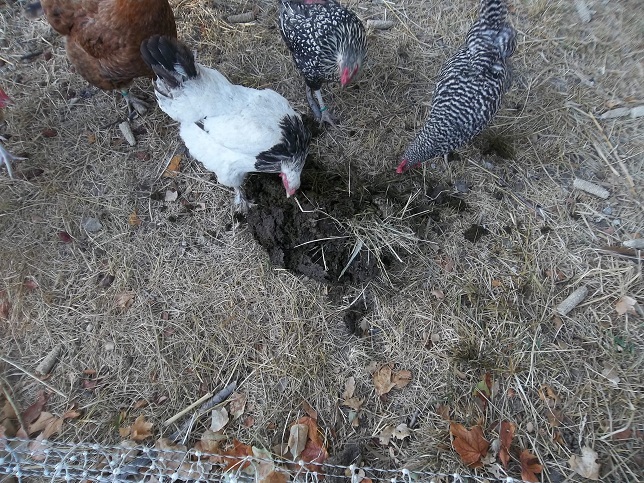 Scoop out a bowl in the bottom center of the compost pile then throw in a bale of straw or old hay as a base layer. Also, see if you can get a couple of trash cans full of sawdust from a sawmill…the finer the better. Really, a pickup load of sawdust would be better. Well, a dump truck would be better still but get what you can. As you process birds, pull a layer of the straw to the sides, dump in your chicken offal, add a layer of sawdust above and cover with fresh straw. See the link above for more specific detail. Even if your knives are new, sharpen them. Really sharp. Crazy sharp. You will need a bucket for every 20 or so birds you process but we keep one at each station. One bucket for heads and feet, one for evisceration, one for lungs and some others for feathers and blood later. You probably already have buckets, just make sure they are empty and ready on butcher day. Do a dry run. Heat the water. Dress one bird out. Chill it. Bag it. Go through the motions all along the way. Learn what you need to learn. Find out what you didn’t plan for. I am sure this list could be larger. What did I miss? What are your thoughts? I may be too far from my first chicken processing experience. I remember it being very difficult. I wouldn’t want to do 100 birds out of the gate. Whew! 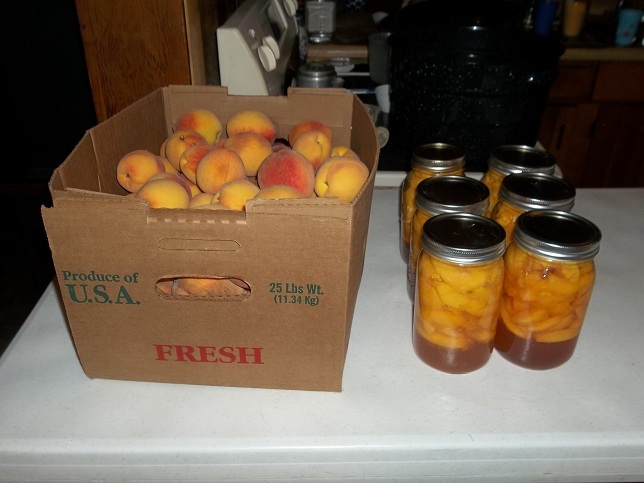 I brought 3 bushels of peaches home on Thursday. Friday we canned the bruised ones but the rest were too green. Saturday they were looking pretty good but we had a family gig most of the day followed by church in the evening. That takes us to Sunday morning. Early Sunday morning followed Sunday afternoon followed by a nap. What’s the fun of working if there is no reward for hard work? What sounds good to you? 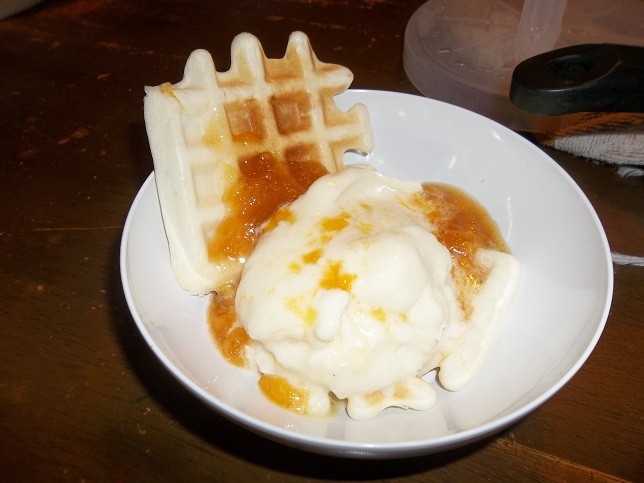 I say we have peach sundaes on homemade goat milk ice cream piled on top of waffles! …or if you’re 7 you can scoop it up into a waffle cone. 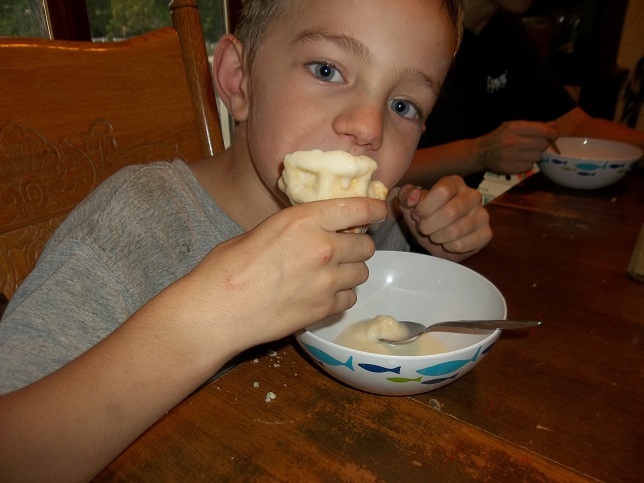 The kids were pretty well peached out at this point and opted for chocolate syrup and carmel on their ice cream. I have done harder work. I have worked longer hours. But standing in a hot kitchen on a hot day holding hot, sticky peaches wears on the body. Mom reminded me that the old timers would put up 100 quarts of everything. Here’s to the old timers. 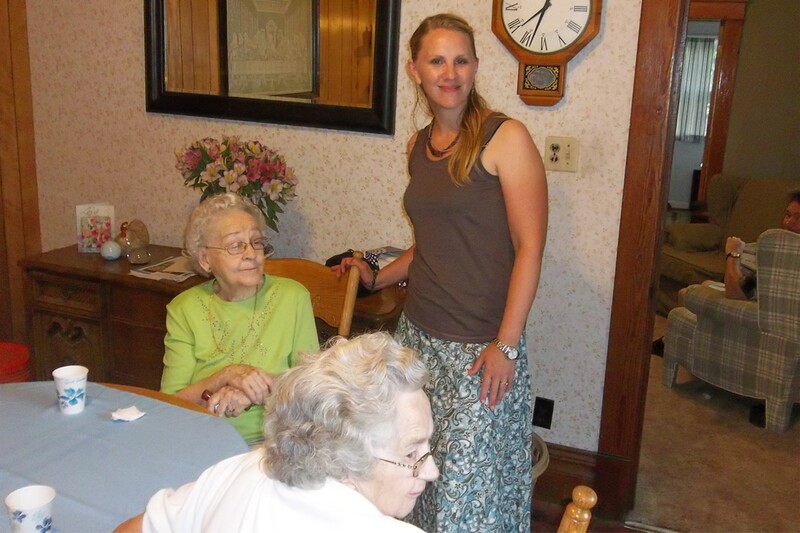 Thanks to mom and Aunt Marion for helping out this weekend. There are no slippers on my feet. I don’t eat bonbons. I work. I work a lot. A friend was visiting and shared that she had recently stopped working, choosing to stay home instead. She said people comment that if they stayed home they would be bored. It’s as if people assume we wear pajamas all day, sitting around watching TV. Nothing could be further from the truth. This season of my life is about creating a home. I know we house wives have fun with the term “Domestic Engineer”, but I personally don’t like the sound of it. We use it in an attempt to sound professional but it sounds impersonal. Creating a home isn’t like taking a blueprint of a house, building walls and putting in fixtures and ta-da you have a home. Creating a home is more like creating a piece of art. There is no formula for an inviting, warm, welcoming, secure home but I can tell you that it takes time purposefully spent. Our home is not just a place we sleep and keep our stuff. For many in my generation that is their idea of a home. When we lived in the suburbs, our neighbors were never home. Their homes were where they slept and watched TV. Their lives happened other places. So when people comment that staying at home would be boring they think that is what happens at home, we sleep and watch TV. That sounds boring to me too. I choose to stay home. Our lives happen here and we love it. I am not saying we never leave and never see other people. But our lives are grounded here with our family. I am not a “soccer mom”. I am not my children’s chauffer. I will not spend my parenthood on the sidelines as a cheerleader. Parenting is not a spectator sport. Is it wrong to put your kids in sports? No. But if running your kids around and watching them do stuff is the magority of the time you spend with your kids you may need to rethink your activities. When we evaluate what our kids do with thier time, can we say that those activities meet our goals as a family? Our family goals are to steward the resources God has given us with the gifts God has blessed us with. God put my kids with my husband and me on purpose. Their gifts and personalities are a blessing and a help to our gifts and personalities. It takes time and energy working together to learn and develop the children’s talents. I would not have that time and strength to get to know my kids in such a way if I was working outside the home and if I was running our kids to 10 different extracurricular activities. This is not an attack on working moms. I know for some it is not a choice. For us living on one income is a financial sacrifice . 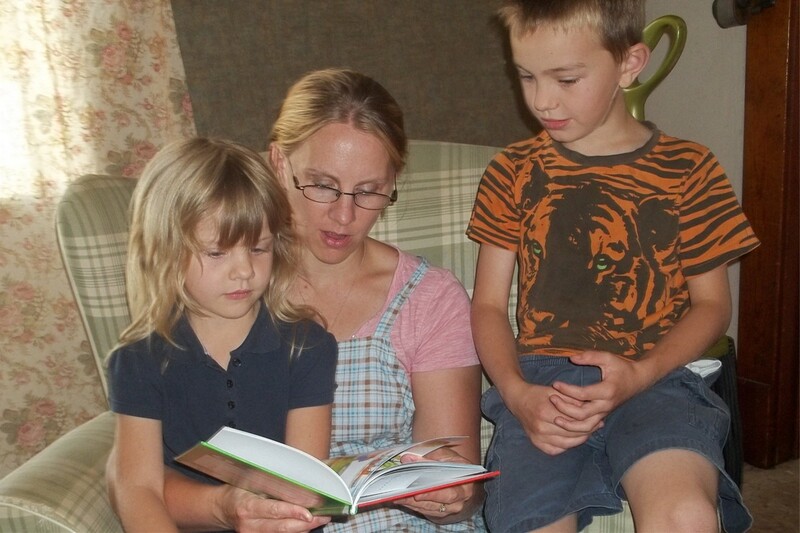 We have one car, no cable TV, I do not have a cell phone, our kids are not in gymnastics, karate, or anything right now, we shop at thrift stores for clothes, I cook our food from scratch, our furniture is a little used, my house would never be seen in Better Homes and Gardens. Those things don’t help our family meet our family’s purpose. Are you filling your life with purpose or business and stuff? What are you willing to give up to gain a home? Creating a home isn’t about a physical place. For example, I follow Discover. Share. Inspire. This family has no house in the normal sense. But as I read their blog and read their interactions with their kids I can see a home there. God has given them a different canvas to create their family’s purpose on. Our family’s canvas for right now is our 20 acres. Our work and interactions on this farm are creating a beautiful home. At the end of my day I am exhausted but I can look back on it with a sense of accomplishment and fulfillment. What are some of your family goals? What is your canvas? I know as my kids get older and my life’s seasons change my idea of what makes a home will change too. I am curious what you as an empty nester or single feel makes a home. How do you create your home? This was a guest post from my lovely bride. If you like this sort of thing, check our her blog, The 20 Acre Academy. She promises to update it as soon as she gets the time….lol. 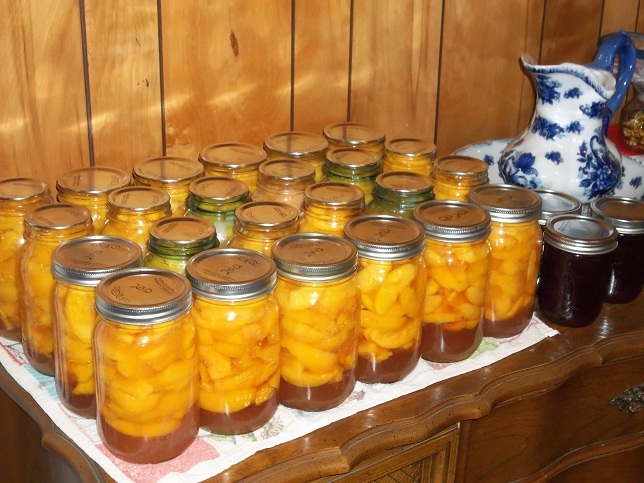 I made arrangements to buy 3 bushels of peaches from Calhoun county. 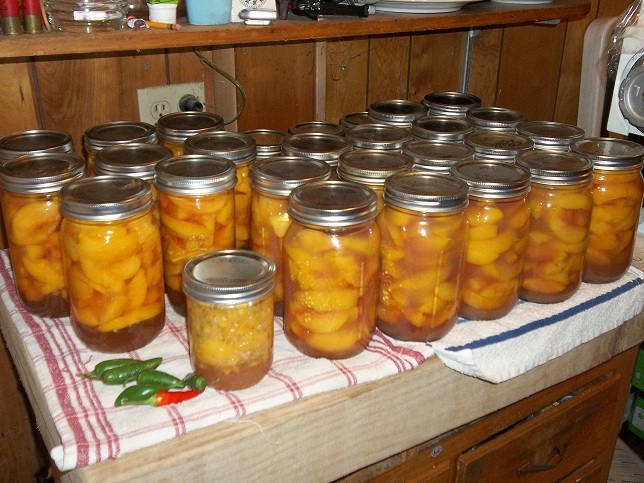 That’s a lot of peaches. We’ll be busy for a couple of days so please forgive me if I don’t keep things updated here. This is me practicing what I preach. I’m stocking up. I’m buying locally. I’m buying in bulk from a small farmer (my co-worker’s father-in-law). They are not organic. I’m sure they have been sprayed but this will do until we get our own orchard planted. Each box (pictured below) is half a bushel. 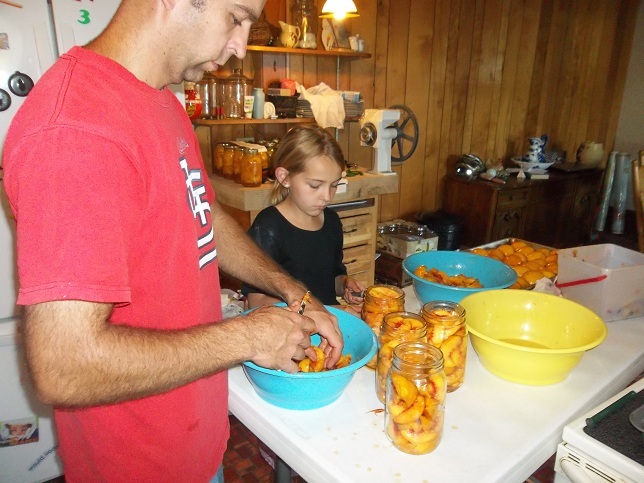 Half a bushel makes about 9 quarts of canned peaches. Sterilize and fill each jar, pour in hot syrup and place in a hot water bath for 30 minutes. Not much to it, just a lot of work. It’s scald, peel, slice and pit over and over and over. But, boy! they taste good.